How to choose Pins for your Workroom? Do you really understand the difference between the massive range of pins on the market. What is the difference with what pin I use? Confused which pin to purchase? The biggest problem with the market today is poor quality products. You need to learn about choosing well and minimising the chance of paying products that simply just don’t perform which will ultimately save you money in the long run. Choosing the correct pin is essential to complete of a project to the best quality possible. No snags from blunt pins, melted plastic marks from heads that can’t cope with heat, jumped stiches from pins that are too thick to name a few. Pins like any sewing tools have a purpose, you need to marry the pin to the project. They hold pattern pieces in place, anchor seam allowances as you sew, fit fabric on the body, drape fabric on the dress form and secure all sorts of squirmy trims, delicate sequins, and miniscule beads. There are an incredible variety of pins on the market-some. One pin can’t successfully tackle all fabrics and sewing tasks. Simply stated, different jobs require different pins. 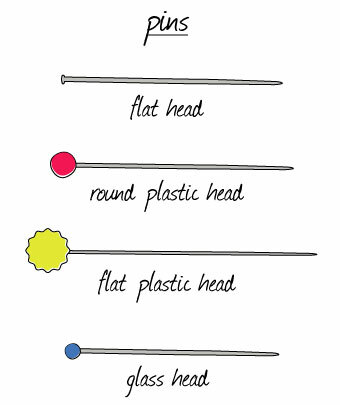 The head is the most recognizable part of a straight pin. What it is made of dictates if it can be pressed and the shape determines when you should use it in the construction process. Plastic Ball-shaped plastic heads come in different sizes and colors, and may be pearlized. These are a good choice for lace, eyelet, and loose weaves, as the large heads won’t slip through the holes in the fabric. Glass This small, ball-shaped head is fairly easy to see, and won’t melt when touched with an iron. 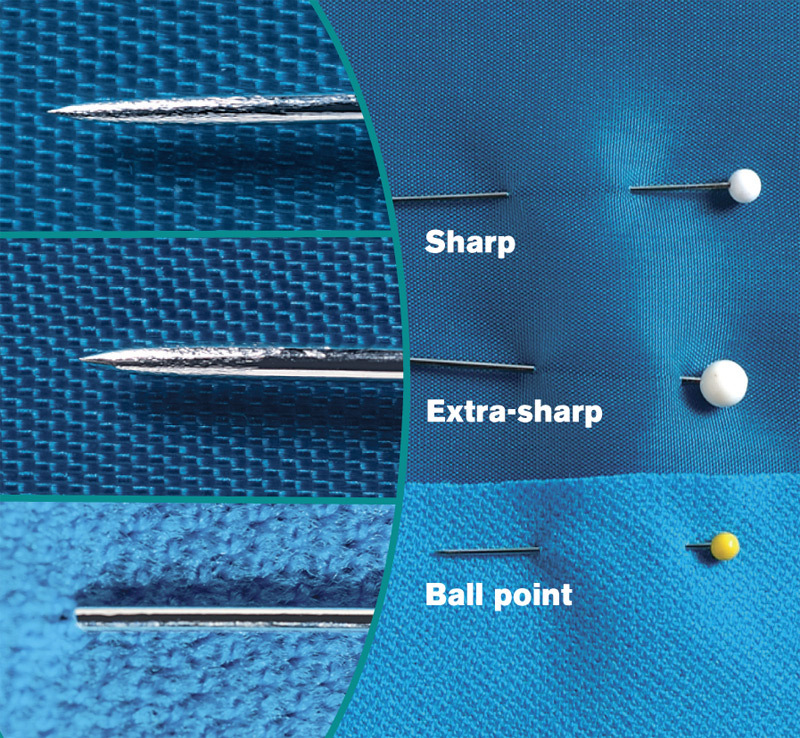 The points of pins should slide cleanly into fabric without causing snags or unsightly holes. 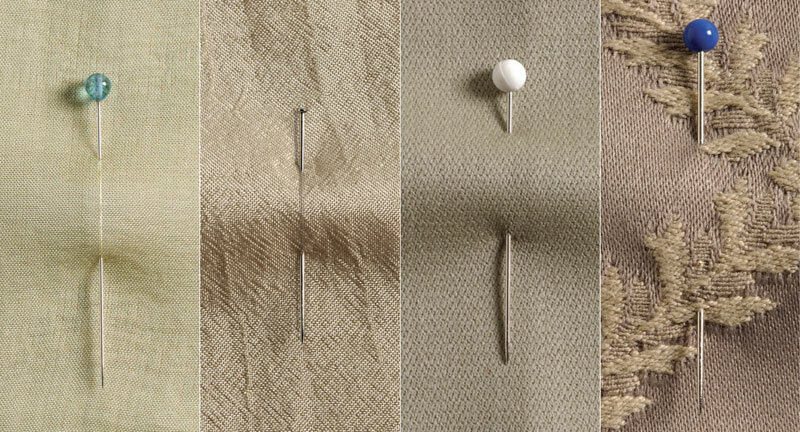 Different fabrics require different types of points. Sharp These all-purpose points are a fine choice for loosely woven, medium-weight, and heavy-weight fabrics. Extra-sharp More defined and tapered, this point passes cleanly through delicate fabrics. Ball point Created especially-and only-for knits, this point is rounded so it slips between the loops of the fabric and doesn’t pierce or pull the yarns. Pin length used to be listed on packages as but most pin manufacturers now just list the actual lengths. To avoid producing holes in your fabric choose the thinnest pin to accomplish the task at hand., as it relates to actual diameters, isn’t consistent among manufacturers. .4mm The thinnest traditional pin we found was a .4mm “Patchwork Pin (Fine)” by Clover. 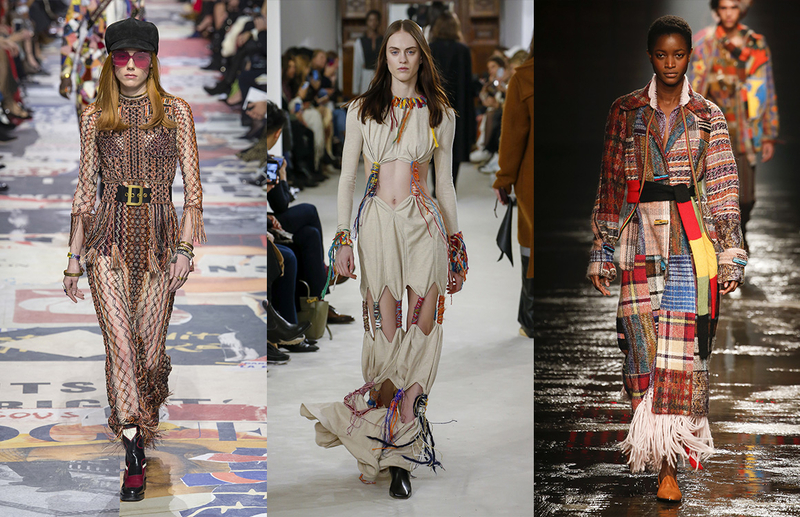 It passes beautifully through the finest of sheers. .5mm Called “extra-fine,” “super-fine,” “silk,” or “satin,” these .5mm pins are recommended for fine, lightweight fabrics, including some sheers. .6mm Most all-purpose pins are labelled “fine,” and are best paired with medium-weight fabrics. .7mm or .8mm Although harder to find, these diameters are great for thicker fabrics like heavy wools, denim, and quilted layers. But they do leave large holes in their wake. A pin’s content is important, especially if you are allergic to certain metals. There are six types: stainless steel, nickel-plated steel, nickel-plated brass, brass, and chrome-plated steel, which is the strongest option. To sum up, I have a variety of pins in my workroom to cater for a various fabric weights and construction. i.e. knit, woven, non woven and ones that I love to use for draping. Birch Ball Point – Stretch/Knit fabrics. Reference: Threads Magazine is a great reference for anything to do with sewing..check it out. https://fashionworkroom.com.au/wp-content/uploads/PINS-1-e1424829741960.jpg 378 377 Fashion Workroom https://fashionworkroom.com.au/wp-content/uploads/fw-logo.jpg Fashion Workroom2017-06-04 11:22:522017-06-12 07:47:52How to choose Pins for your Workroom?